Wakepilot is pleased to offer the very best personal watercraft available from Sea-Doo. 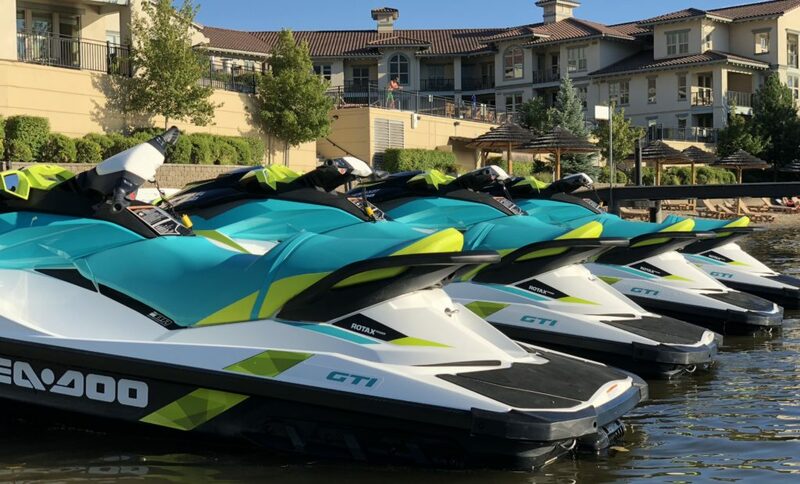 You don’t have to worry about performance or reliability with our 2019 Sea-Doo GTIs. We replace all of our PWCs on a yearly basis so you can enjoy the safest, most reliable vessels available. The GTI model features an all new super lightweight design that improves performance and handling. 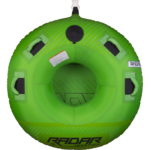 It also has Sea-Doo’s IBR (Intelligent Brake and Reverse) which means more stopping power and greatly increased safety (it’s also a lot of fun going backwards on a Sea-Doo). The GTI has enough room to bring two friends – one to spot, and one to tube. Come out before 10:00 a.m. and we’ll give you our EARLY BIRD discount! We also have Single Tube Rentals for $10/hour with any of the above. Just select when booking on line or let us know when you call.